Not all integration products are created the same. Some integrations are created to connect point A to point B and then fall apart when point C is introduced or point A is replaced. When Keysight made the decision to go with SAP Contact Center not just for computer telephony integration with SAP but with Siebel, they knew they needed a strong integration partner. SAP Contact Center wasn’t a product that was typically positioned for integration with anything other than SAP. However, AMC Technology’s architecture supported mixing and matching contact center drivers and CRM adapters. Certified by Oracle and SAP, AMC had the confidence of both organizations that the integration was functionally sound and would perform as designed. AMC Technology solution users since 2012, Keysight’s 692 agents have enjoyed CTI features like inbound ANI screenpop and screenpop with transfers that help streamline customer interactions. Keysight has seen fantastic results and “reduced their tickets by 80%”, shared Tom Leiper, support manager and subject matter expert for Keysight’s contact center. “Systems are predictable and stable and the cost is relatively low compared to other solutions. Everyone was holding up AMC as the middleware between Siebel. We knew of AMC from our research and felt like if they were being recommended by everyone, it would be the right product for us. 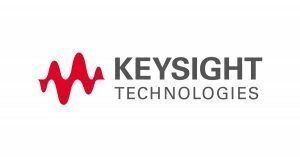 Keysight has since added Salesforce to their list of CRMs being used with plans to slowly migrate Siebel users to Salesforce. They are currently running a proof of concept with AMC Technology integrating Salesforce and SAP Contact Center. In addition to SAP Contact Center with Siebel and Salesforce, AMC also supports Avaya, Cisco and Aspect integration to SAP, Microsoft Dynamics, Oracle Service Cloud and Desk.com, making it an attractive solution for dynamic organizations that want to have the freedom to adopt the right technology for their business. AMC’s architecture is versatile and supports integration swapping. The product’s maturity and certifications can help customers reduce deployment risk, lower total cost of ownership and improve the user experience.